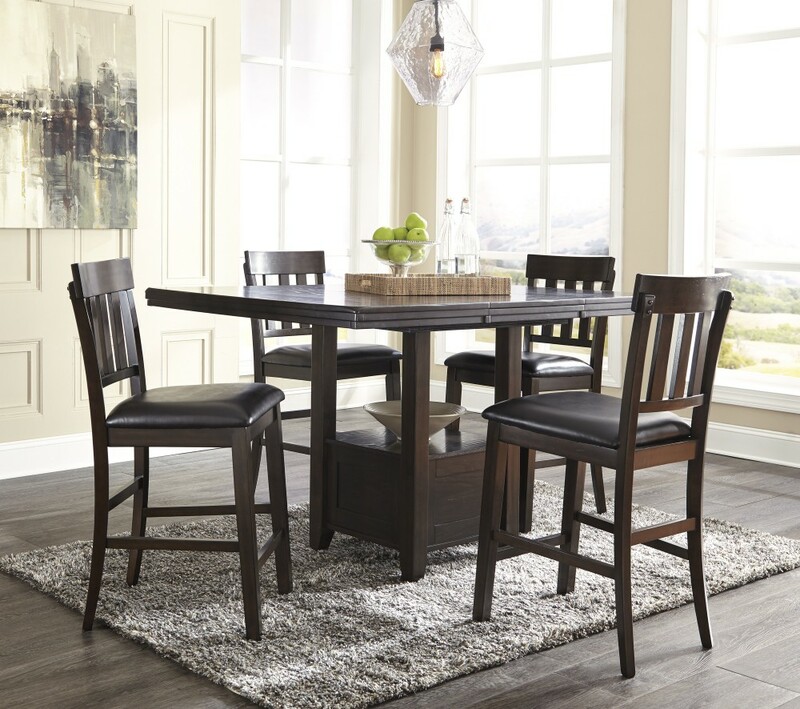 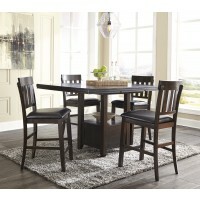 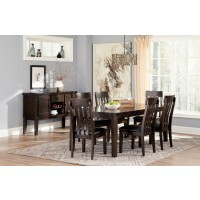 Made with select Oak veneers and hardwood solids with a dry smoky dark brown oak color. 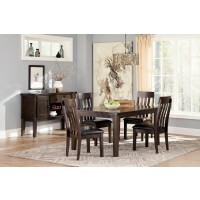 Edges and corners have a rounded off, worn effect for a casual look. 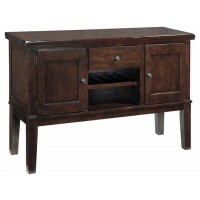 Server has fully finished drawer boxes with ball bearing side guides. 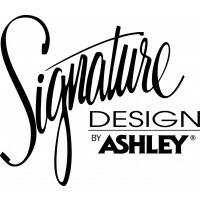 Sturdy looking knobs have detailed ring design and finished in a bronze color with golden undertones. 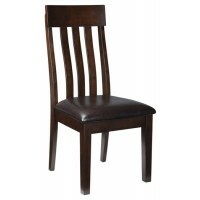 Chair back has three wide slats with a lumbar curve for maximum comfort. 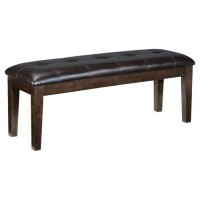 Chair seat and tufted bench are cover with PU material. 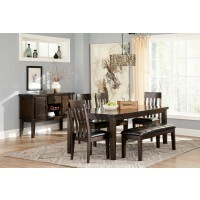 Table has a casual farmhouse look with thick top and butterfly leaf extension to seat up to eight comfortably. 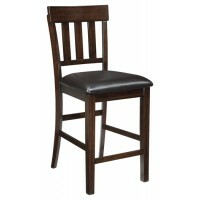 D596-124 barstools feature slat back design with a soft yet durable PU upholstered seat. 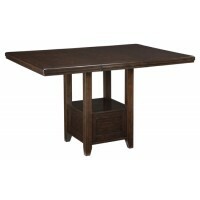 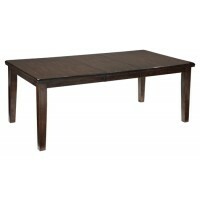 D594-42 table has storage base and removable leaf.